To represent the displacement of a particle in wave motion we have a mathematical equation. 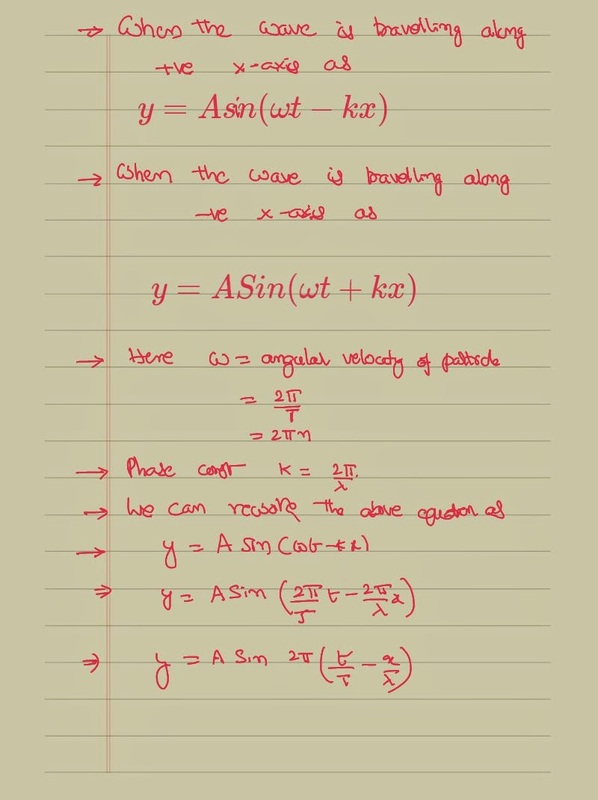 When the particle is advancing from the origin towards the positive x-axis, any particle who is at a certain distance from the origin will receive the wave lately than the origin by a specified time. Taking that into consideration we can write a mathematical equation as shown below. When the wave is moving along the negative x-axis, the particles will receive the vibration not with the time lag but with the time addition. 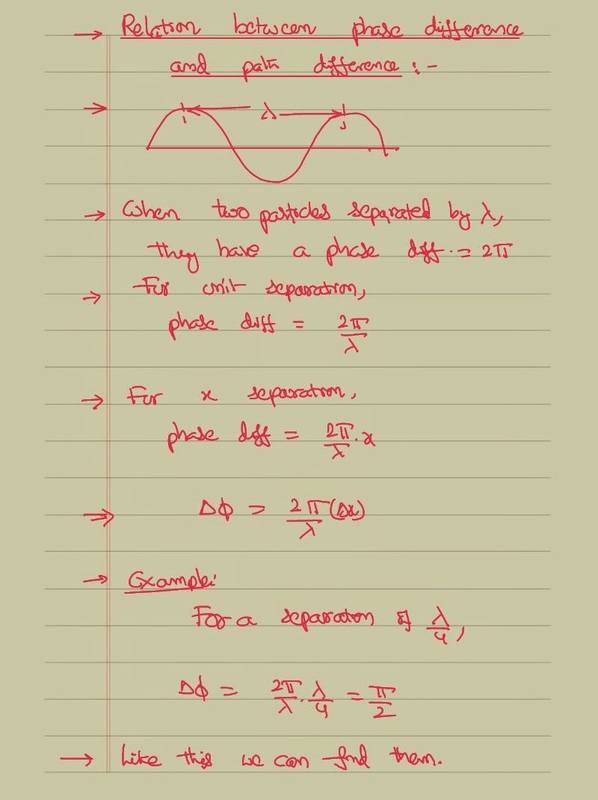 The corresponding representation of the wave in the different possible formats is as shown below. This can be obtained basing on the definitions of the basic terms itself. We know that when the particles are separated by a distance equal to wavelength they are going to have a phase difference of 360°. 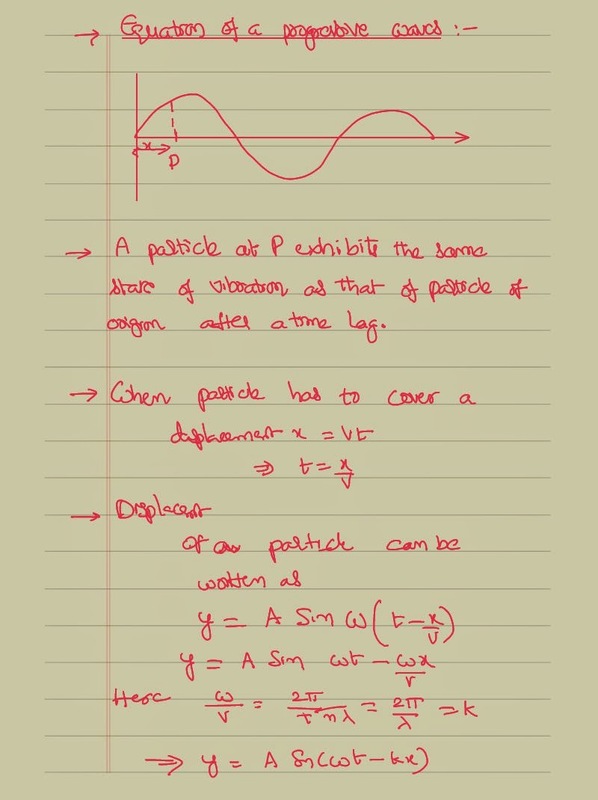 By calculating the phase difference for unit separation we can get the relation as shown. Intensity of the sound energy is defined as the energy emitted by a body per unit surface area per unit time. When the number of the waves are acting simultaneously on the same point, we can get the resultant of them using the vector laws of addition. When waves travel from one medium to other, a part of it returns to the other medium. When the wave strikes the obstacle, it reflects back in the opposite direction. The string through which the wave is travelling applies a force on a wall as an action. 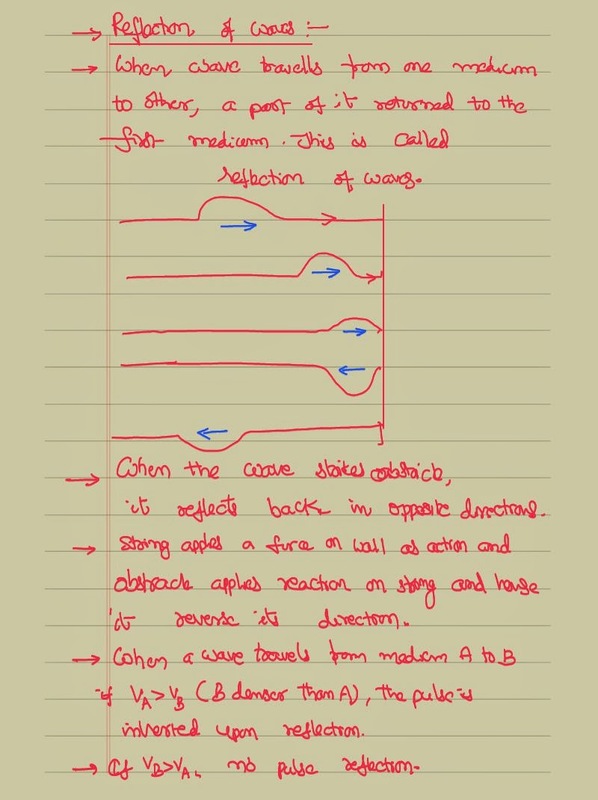 The wall applies the reaction the string in opposite direction which is in satisfaction with the Newton third law. When the wave travels from wherever medium to denser medium velocity decreases and the pulses inverted upon reflection. The audible range of frequencies for a human being leaves from 20 to 20,000 Hz. Express them in terms of the wavelength? 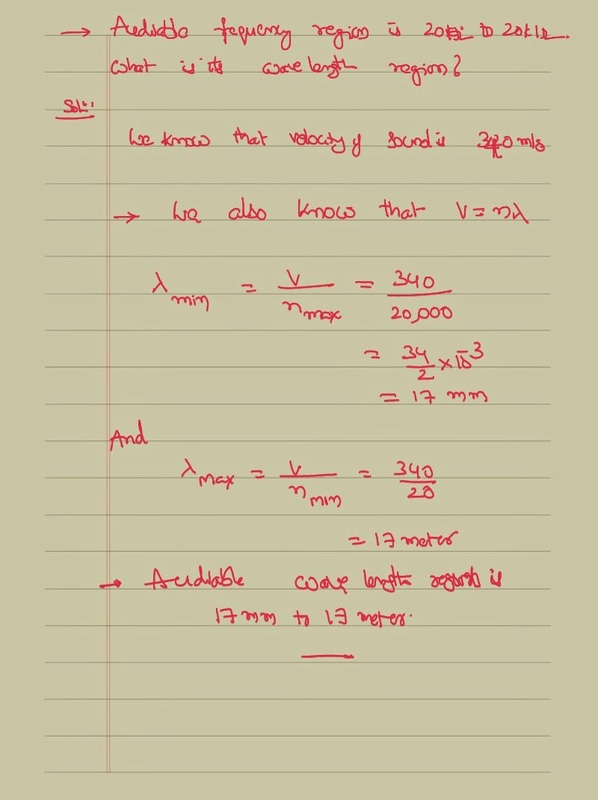 We can solve the problem using the simple relation between where velocity and wavelength. We shall also remind ourselves that when the wave changes its medium its frequency is going to remain constant. Frequency is a characteristic property of the source and it is independent of the medium. 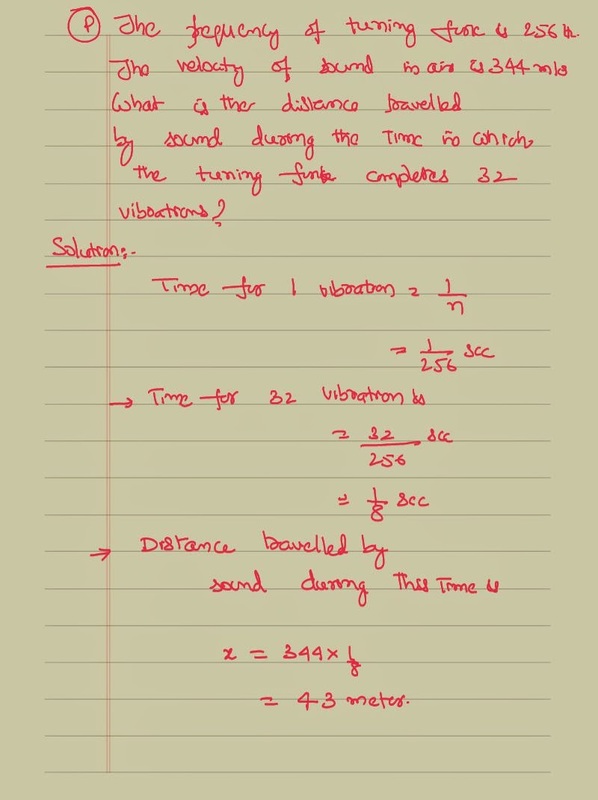 We are going to solve the following problem basing on the very definition of frequency.It is the number of vibrations made per one second.Then time taken for one vibration is called time period.